State lawmakers are seeking to change the way Hawaiʻi votes for trustees of the Office of Hawaiian Affairs. HPR Reporter Kuʻuwehi Hiraishi has more. Hawaiʻi state legislators have taken the first step toward overhauling the elections process for Office of Hawaiian Affairs trustees. The Senate Hawaiian Affairs Committee started with campaign funding and the way candidatesʻ names are listed on the ballots. Senate Bill 728 seeks to increase the amount of public funding available to OHA candidates. It’s a measure supported by current OHA Trustee Keliʻi Akina. The bill passed out of committee with amendments that increase the amount to $42,000 per election year but only after candidates raise a minimum of $5,000. Another bill proposed to place the names on a ballot in a random order, rather than alphabetical order. Something OHA beneficiary Kauʻi Pratt-Aquino hopes will allow candidates to move beyond name recognition. Former OHA candidate Sam Wilder King II sees it as an opportunity to combat low voter participation in OHA races. That issue is covered by Senate Bill 729 – which passed out of committee as is. Shimabukuro says it has a good chance of becoming law because it doesnʻt require any funding to implement. Former OHA candidate Esther Kiaʻāina testified in support of the legislature’s efforts. “All of these tools cumulatively would be helpful in just providing, one, equity for candidates that run for OHA and better vetting for the electorate,” says Kiaʻāina. Two bills calling for trustee term limits were deferred by the committee. Shimabukuro called the measure “controversial” but worthy of discussion. STAR-ADVERTISER / 2016. The Kalaeloa Heritage Park is home to several cultural structures, remnants of an ancient Hawaiian village including sinkholes that were once filled with drinkable water, and a restored Hawaiian trail. 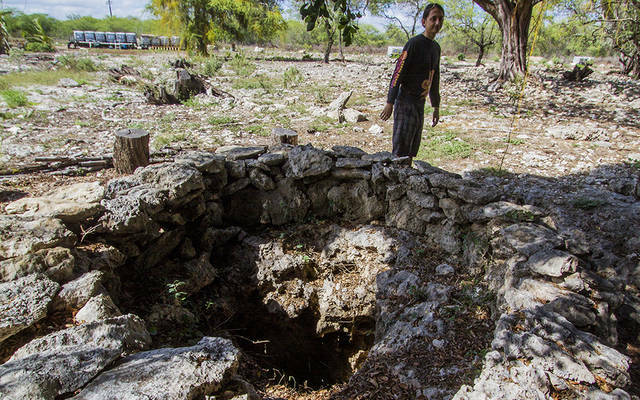 Thomas Cleek walks past a sinkhole that was once filled with drinkable water. ANDREW GOMES / AGOMES@STARADVERTISER.COM. Dwight Victor, board president of the Kalaeloa Heritage and Legacy Foundation, stands in front of construction debris at Kalaeloa Heritage Park. On Oahu’s arid Ewa plain, amid a kiawe tree forest, remnants of an ancient Hawaiian settlement are a cultural treasure anchoring a heritage park. Yet something is marring the land and perhaps the park’s future. 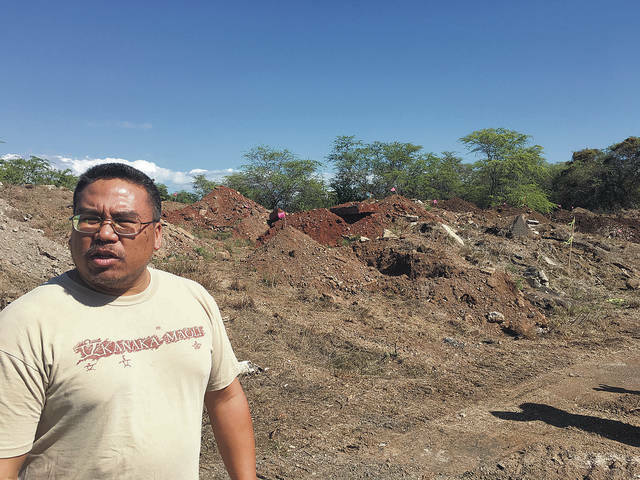 An estimated 2,259 cubic yards of construction debris including dirt, concrete, iron bars, car parts and asbestos pipe — enough to fill about 100 to 150 dump trucks — was illegally deposited on the property soon after Kalaeloa Heritage Park opened eight years ago. Now, after roughly five years of unfruitful efforts to clean up the mess, the problem has put the park’s nonprofit steward at a contentious crossroads with a state agency that owns the land. On Jan. 9 the Hawaii Community Development Authority board voted unanimously to proceed with terminating a 40-year lease with the park’s curator, the Kalaeloa Heritage and Legacy Foundation, after the organization was unwilling to surrender its lease in place of a short-term stewardship agreement and the state covered fines and remediation work possibly costing more than $600,000. Foundation officials said they have invested so much work in the park that they don’t want to be cut out of its future. 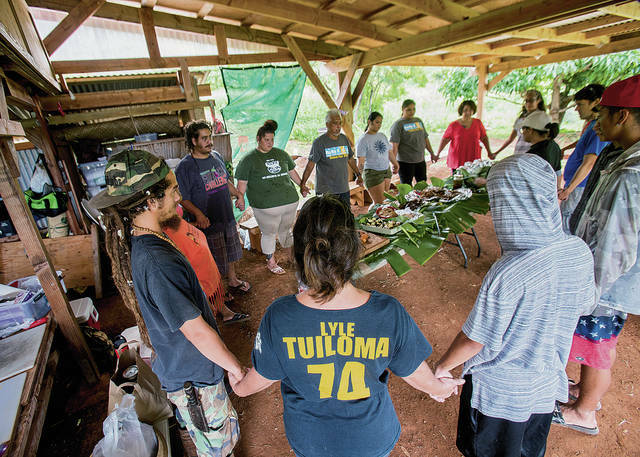 The discord threatens to undo a partnership between community volunteers and the state that created a place where the public can see how Native Hawaiians lived in the area 400 years ago. The cultural site and surrounding area are believed to have been first settled sometime after the mid-1600s and abandoned shortly before or after Western contact about 100 years later. Oddly, artifacts of this settlement survived because the site was part of a military base for much of the 20th century. Extraordinary archaeological features include a paved trail marked by upright stones suggesting Tahitian influence; remnants of a coral habitation structure; sinkholes that served as water sources; burial places; agricultural planters; and a heiau, or place of worship. Some 51 cultural features identified on the 77-acre site avoided destruction by modern development and agriculture because they were in a buffer zone on the 3,700-acre Barbers Point Naval Air Station. As the military base was closing in 1999, the Hawaiian civic club ‘Ahahui Siwila Hawai‘i o Kapolei worked with federal and state officials to preserve the cultural sites on land the Navy later gave to HCDA. Civic club members created the foundation in 2011, and under a preliminary access agreement with HCDA, the all-volunteer organization established an initial phase of the park after clearing 4 acres to reveal several artifacts showcased through interpretive tours. More than 12,000 hours of work by foundation volunteers helped establish the park. That work included re-creating a home, or kauhale, from coral, wood and grass. HCDA helped finance an environmental assessment and other planning work. About 1,000 people visited the park in each of the last two years, but the foundation has big expansion goals in a 10-year plan that includes building a cultural center projected to attract 62,360 visitors annually. The stockpiled material is not in the area toured by visitors. Center elements include car and bus parking, a ticketing area, a stage for cultural demonstrations and entertainment, a theater, an art gallery, a kitchen and dining area, meeting and workshop rooms, office space, rest­rooms and a gift shop. A greenhouse, farmers market, maintenance yard and caretaker’s cottage are also part of the $9.5 million conceptual plan. During work in 2012 to grade an area slated for the visitors center, the foundation bulldozed some military infrastructure on the property and received donated material from a construction site. The foundation neglected to get a stockpiling permit, and in late 2013 the city Department of Planning and Permitting cited HCDA as the landowner and soon began assessing $750 daily fines. Victor said soil testing was done, but a permit wasn’t sought because volunteers weren’t familiar with such a requirement. Foundation officials committed to curing the stockpile violation, but efforts were beset with engineering requirements, a State Historic Preservation Division review and other requirements. 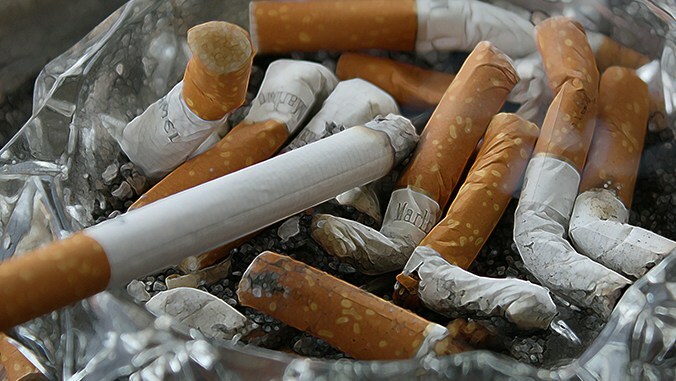 The state Department of Health followed up with a warning letter in mid-2014 describing the material as an illegal dump and ordered all solid waste be removed from the stockpile. In mid-2015 the foundation got a city stockpiling permit, which stopped the accrual of fines at $363,000. At the end of 2015, HCDA signed a 40-year lease with the foundation while holding a right to terminate the lease if the stockpiling violation wasn’t resolved within a year. The foundation presented HCDA with a report detailing best options in mid-2017. The preferred option was to remove solid waste and donate soil to an interested developer at a projected cost of $103,150 to $210,300. Because the foundation lacked money, HCDA’s board in late 2017 approved spending up to $200,000 and began the work in March. But right off the bat a contractor uncovered an asbestos pipe that hadn’t been revealed in the soil test, and work stopped. HCDA then had to come up with a hazardous-materials assessment and treatment plan, and the agency’s board voted in August to spend up to $100,000 to address the issue. The foundation told HCDA that it planned to hold a fundraiser and request a grant from the Legislature to help pay for stockpile fees and fines. Instead, HCDA in October offered to pay for site remediation work and the city fine as part of terminating the lease and providing the foundation with a stewardship agreement. Part of the consideration for this move appeared to include questions over other foundation actions, including letting a trucking company store heavy equipment on the site without HCDA permission and intending to sublease part of the park site to a charter school. The agency explained its move in a Oct. 19 letter telling the foundation that a one-year stewardship agreement could be followed by two more years. The letter also said that if the foundation submitted a sound business plan showing an ability to carry out the park expansion plan, HCDA might reconsider a new long-term lease. “In short, HCDA staff is proposing that we hit the ‘reset’ button, allowing (the foundation) to continue to provide stewardship for the (park), while relieving the heavy financial burden of having to pay for the cost of remediation for the stockpile,” the letter said. Victor, in a Oct. 27 letter to HCDA, said the foundation couldn’t respond to the offer because it wanted to seek professional advice and consult with state Sen. Mike Gabbard, state Rep. Sharon Har and City Councilwoman Kymberly Pine. Victor also said the stewardship deal lacked substantive detail, such as whether tours would still be allowed. An HCDA contractor began the hazardous-materials assessment work last month, and the agency’s board voted Jan. 9 to move ahead with terminating the foundation’s lease, which could be done by the agency’s executive director. Foundation officials hope HCDA reconsiders, and were informed Thursday by the agency that they have 15 days to demonstrate diligent efforts to resolve the violations. Click image to access the full 61-page report. Hau‘oli Makahiki Hou! As the Primary Urban Center Development Plan update process continues, background papers on broad planning and policy issues affecting the PUC have been prepared. The goal of these papers is to provide updated research since the existing plan’s adoption in 2004, and to explore new trends, changing conditions, and future considerations. There are seven such reports prepared for the PUC DP – the newest addition is a Sea Level Rise and Climate Change paper prepared by UH Sea Grant that represents a new topic of focus to be included in the updated Development Plan. The PUC DP project team is pleased to share this paper with you as it reflects current climate science and projected conditions, as well as discussion, case studies, and potential policy tools as part of the larger conversation on the path forward. Other background papers available on the project website include: Housing Trends, Economic Development, Natural Resources & Public Open Space, and Infrastructure Trends. Coming soon: Public Health, and Land Use & Urban Form. Mahalo, and please share with others who may be interested! Reminder: We are still soliciting public feedback on the draft Guiding Principles for the PUC DP. These were initially presented at the Vision Forum held in November 2017. Please click the link below to take a brief survey to give us feedback on each of the proposed Guiding Principles, and to let us know whether we’ve missed anything. We will be closing this survey at the end of January. View details and materials from past project engagement activities or other PUC DP documents such as the Neighborhood Fact Sheets. The Primary Urban Center stretches from Wai‘alae-Kāhala to Pearl City. The PUC DP contains policies relating to growth and development that implement the vision of the General Plan. To find out more about the project and how to get involved, please visit the project website at www.pucdp.com. The website will be updated regularly with background information, upcoming events, interactive questionnaires, and reports prepared for the project. Video: Ian Scheuring, “They sold chili, soap and plants. All to help non-traditional students get to college,” Hawaii News Now, 8/2/18. WAIANAE, OAHU (HawaiiNewsNow) – The rolled up banner behind Karen Young’s couch comes out whenever the Women of Waianae hold a yard sale. Over the years, the small non-profit has done all kinds of fundraising. “We did chili sales. We sold soap. We sold plants,” Young said. She and a handful of friends started Women of Waianae years ago to raise money to help older people in Waianae go to college. “We could see that there was poverty and lack of access to good education. Much of it was money, the barrier of not having enough money to go to school,” she said. In 1990, they presented their first scholarship award to Staci Cheek, a young mom trying to make ends meet. “It just got me started on a whole new journey. Education just seemed so far away.” she said. The award was only a few hundred dollars but it helped her with her first year’s tuition. She got other scholarships and eventually graduated with a nursing degree. Young estimates Women of Waianae has helped about 200 Waianae residents go to college. She calls them non-traditional students. “These are people who have children, who missed the first opportunity to go to college because they had other obligations or they weren’t ready or they didn’t have money,” she said. The non-profit takes applications and awards scholarships based on the person’s need and how determined they are to better their lives. There are now about 20 women in the non-profit. This year they awarded $26,000 in scholarships to 15 recipients. “We love our community. We want to help the people who are from here to be able to stay here, to live here, to flourish here,” Young said. Fundraising is now more sophisticated. Women of Waianae also gets donations and grants to help people get the education they want but can’t afford.